Political practices spreading beyond the old European continent reflect the urgent need to rethink geography in a different way. The Draftsmen’s Congress will be our compass in this ambivalent voyage between Rome and Kiev. Monstrous images, incomprehensible signs and lost maps will be used to draw the different regions that exist inside and outside European space, to disrupt the hierarchies of nations and old geographical boundaries. 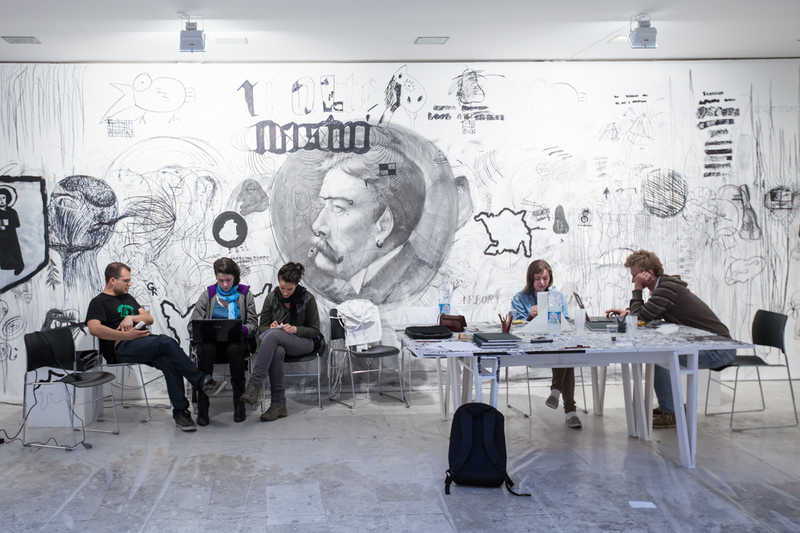 The Draftsmen’s Congress is a ship that allows us to get beyond privileged positions linked to authorship or professional rank, an open space that challenges the constructed divisions between disciplines and specialists.